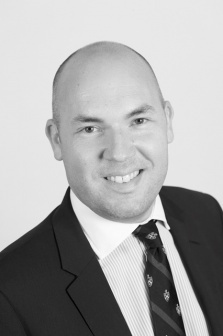 David joined the Practice in 1997 as an undergraduate and was sponsored through his degree and professional qualifications. Working up through the Practice David became a Partner in 2011 and is a testament to Ingleton Wood’s commitment to training and staff development. David's principal area of expertise is the delivery of new build, conversion and refurbishment projects from conception to completion. David has gained a wealth of experience through the successful delivery of projects ranging from complex public sector commissions to one-off distinctive houses. David spends a large portion of his working life advising education clients with respect to their estates, this advice ranges from master-planning to funding strategies and land disposal. David is responsible for the management of the Practice’s Colchester office and has been integral to its growth in recent years. David also looks after Practicewide business development and marketing and as such is responsible for shaping Ingleton Wood’s corporate identity.